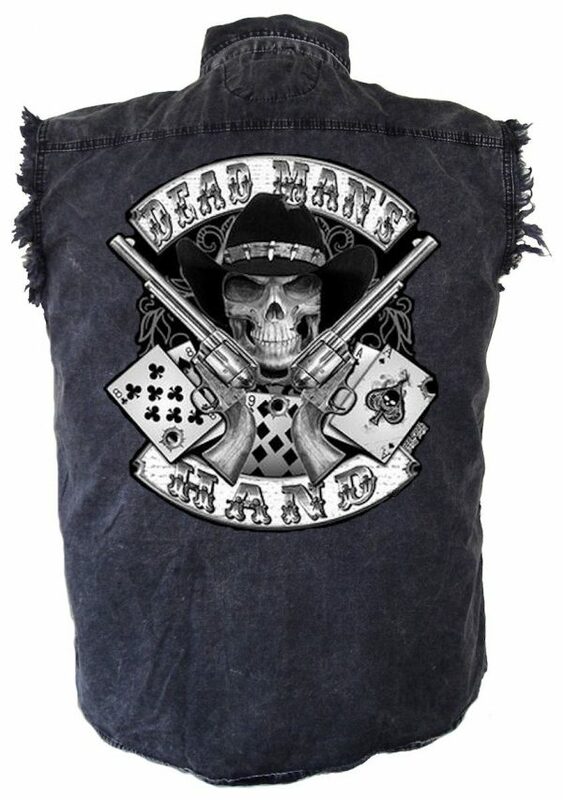 On the back is a very large, great looking design that features a cowboy skull in a cowboy hat, two revolver guns, a pair of aces and eights playing cards and “DEAD MAN’S HAND” around it. It looks fantastic and really stands out on the background. A smaller one is on the left front shoulder above the pocket. The design is high quality that will last a long time, I put them on myself. So choose your size and get one or several now, free shipping in the USA! 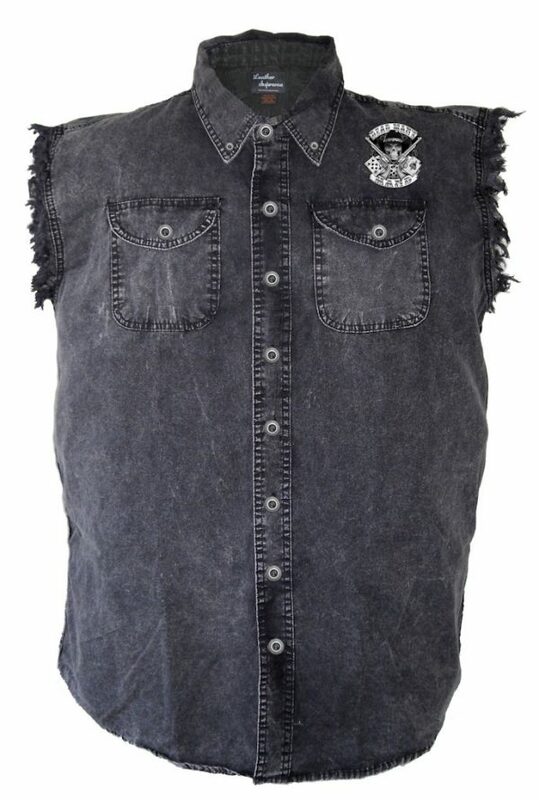 Cool design and like the frayed sleeve look. I’ll definitely be buying another one !